It's been an overwhelming year. Thank you all for reading this site, check out http://www.pamelapekerman.com/, following me on Twitter, becoming fans on Facebook and keeping up with all the great TV and in-store appearances from 2010. For those who also donated to the Ilya Peckerman Fund benefiting the Vasculitis Foundation, I'm sending you the BIGGEST HUG and KISS mmmmwwwwaaaa. Every single dollar goes to research! In 2011, we'll be unveiling the Shop for Vasculitis campaign with amazing red and coral merchandise benefiting our cause. You can already purchase this beautiful Sabina Les scarf for $150 and 15% will go directly to the Ilya Peckerman Fund benefiting the Vasculitis Foundation. I can't wait for all the amazing adventures slated for 2011 - more twitter giveaways, exciting TV segments here in NY and in cities across the country, in-store shopping parties, and much more! Thanks for taking this journey with me over the past 6 years. At right, is the holiday card I'm emailing to all my industry friends and colleges. I hope you like it too. I'm not the best at Photoshop, but I had some fun with the background. Naturally, my signature coral is peppered throughout. 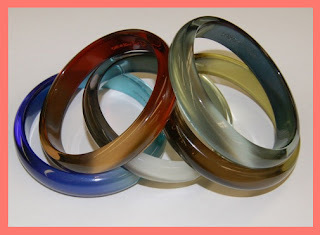 Accessorizing your body, bedroom & beyond! I have one more giveaway planned for 2010 and it’s sure to make your New Year’s Eve look sparkle – a simple and sleek silver clutch from M.Clifford Designs. You might recall that I raved about designer Martha Clifford when she first came out three years ago with her Terrell Tote, even dubbing M.Clifford Designs a Name to Watch for 2009. I can’t wait to share all of her exciting 2011 styles; for now, here’s your chance to win the Elizabeth Clutch. Good luck! UPDATE: Bonus giveaway!! 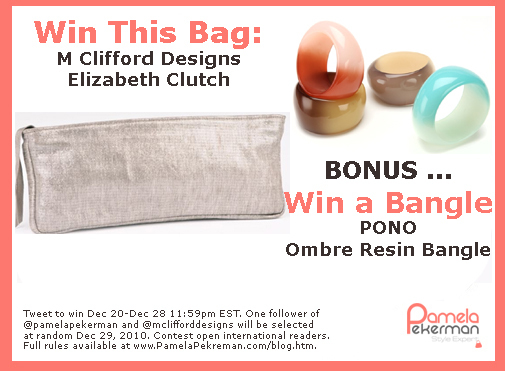 One lucky reader will win the M.Clifford Designs' Elizabeth Clutch and a bangle from PONO. 2) Retweet (RT) "Sparkle New Year’s Eve w @MCliffordDesign & @PONOjsg from @PamelaPekerman #GIVEAWAY http://ow.ly/3s7Fy #bags #jewelry #PamPekermanMClifford"
I’ve been preoccupied and neglecting my daily accessory picks! No good. Back today with a playful Treasure Tuesday find from Disney Couture. There is a magic to the mere concept of anything Disney that makes everyone feel like a little bit of Tinkerbelle’s fairy dust has been sprinkled over them – or maybe it’s just me. What can I say; I’m a kid for life. Give me a tiara, cotton candy and a front row seat to the Electric Parade any day. But, back to the baubles. 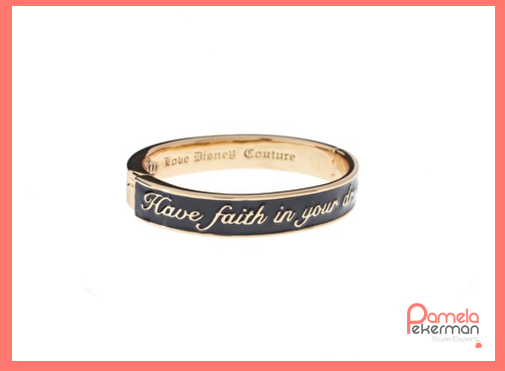 Disney Couture has a wonderful selection of enamel bangles with uplifting quotes such as “Believing is just the beginning” and “Have faith in your dreams”. During these times of gloom and doom, we should all sprinkle a little fairy dust within our hearts and what better way to channel us back to our youth – when we truly believed we were in Mickey’s Club House and Peter Pan could fly – then stacking two or more of these bracelets on our arm? At $48, this makes for a nice holiday gift for any woman on your list. Are you a Disney fan? What’s your favorite movie? I love The Lion King and Aladdin. Tune into ABC NEWS NOW (check your local listings) tomorrow around 10:00am to watch me present the products I highlighted on Tuesday's Accessorize for the Holidays event. Plus, I threw in a few extras that you don't want to miss including a super fun gift for the techy on your list. I'm also going to be giving away the Bryna Nicole 3 Stud Bay Bag and Footzyrools' Sparkle Toes to one lucky viewer. Watch the show tomorrow then come back to this post and let me know which product you love the most and why. I'll pick a random comment on December 8th. All comments places by December 7, 2010 11:59pm EST will be eligible to win. This contest is open to international readers! UPDATE: Unfortunately, the anchor ran out of time and was not able to announce the giveaway OR let me squeeze in three more amazing gifts from Blush, Fashion Forms and Case-Mate. However, since someONE did comment, you shall win! Tiaras, follow Lindsay @TeamPamPekerman on twitter and then DM her your mailing address. In case you missed my segment last Friday, here it is. PS Shout out to Robyn in the makeup room for my eyes. I need your final touches every day! 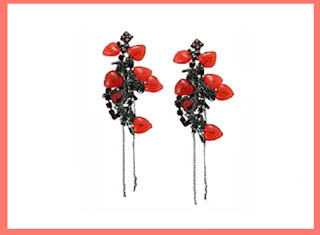 Pamela Pekerman highlights holiday accessory gift ideas on ABC NEW NOW, Dec 3, 2010. Wow!! I’m just coming up for air after Tuesdays amazing Accessorize for the Holidays event, where I showcased my ten must-buy accessory gifts for the holiday season. There’s always this crazy rush before you host an event, especially when you are speaking in front of so many savvy and stylish women – Michelle Madhok of SheFinds.com, fashion designer and Shopafrolic.com founder Liz Lange, Real Simples’ Julee Wilson, Essence Magazine editor and blogger Zandile Blay, and Accessories Council president Karen Giberson, to name a few. A big thank you to Dasha Wellness for provide a tranquil and elegant setting. If you live in the New York area, visit them for a myriad of physical and nutritional wellness needs – it’s a one-stop-shop to better yourself. Talk about a nice holiday gift idea … gift cards to Dasha Wellness. Also talk you to Fretzels and Glow Gluten Free for their yummy treats that keeps guests smiling and GIVEN Liquor for the liquid energy ;). Finally, to my beloved and talented florist Vito Russo – this guy knows flowers and it’s just a bonus that he’s easy on the eye! You killed it at my wedding and with your festive coral and white present this week. Now, to my hand picks presents. Hope you like my selection. Leave a comment with your thoughts and share your own accessory gift suggestions! I hope you enjoy these brands and products. I've personally vetted all of them, as I do with every recommendation I make on this site. ﻿Tune in to ABC NEWS NOW tomorrow around 10:10am where I'll present these and other accessory gift ideas. Check your local listings. I hope you had a bountiful Thanksgiving weekend full of good laughs, good food and great company. Dinner at my sister’s was scrumptious, especially my mother’s turkey and signature pasta stuffing. None of the other cuisine could compare! But, let’s not talk about food, since we all probably need a little detoxing right now. To kick off the holiday spirit, this coming Tuesday, I’m hosting Accessorize for the Holidays for a select group of 30 editors, TV producers and bloggers. I’ll be spotlighting my ten must-buy accessories for the holiday season and you are all invited to follow the fun via twitter. Don’t you just love twitter? Style makers from The Rachel Ray Show to Real Simple Magazine will be on hand to preview my accessory picks and pickup some goodies. But, I’m always thinking of you too! Follow my tweets all day on November 30th for updates on event set up, guest arrivals at 6pm and my presentation of holiday gift ideas, which will start at 7pm. The event hashtag is #P2HolidayAccessories. Between 8pm-9pm Lindsay of @TeamPamPekerman will pick three lucky winners who will receive one of the ten items I have spotlighted that night!! I’m virtually attending #P2HolidayAccessories hosted by @PamelaPekerman 2 learn about great holiday #accessories gifts & WIN some goodies. 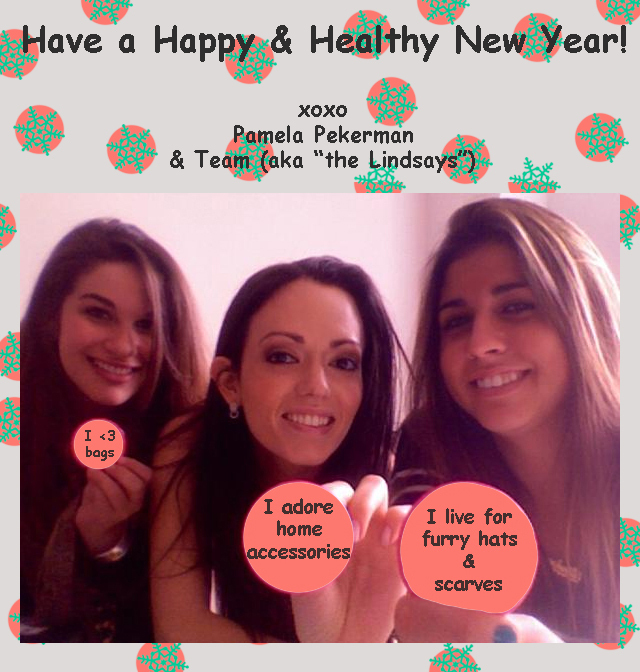 Good luck gals & Happy Holidays! Accessorizing your body, bedroom, & beyond. Many of you are off today to celebrate Thanksgiving with your family. I myself will be leaving with my husband tonight to spend tomorrow at my sister’s home. So, we all need that great overnight bag. There are many to choose from, but I always seem to turn to Jane Marvel’s Puddle Jumper Travel Bag ($121). 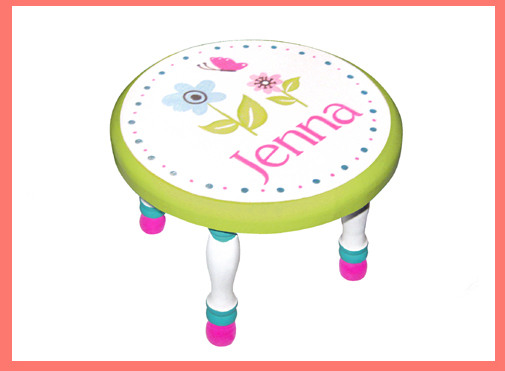 The laminated canvas finish makes it easy to clean, should my nieces decide to hug me and my bags with their art-ful hands! And, I enjoy the vibrant prints and the free gift with purchase that comes in a FAA-approved clear zip pouch. My Puddle Jumper came with a travel mask. What will yours come with? Safe travels and Happy Thanksgiving! 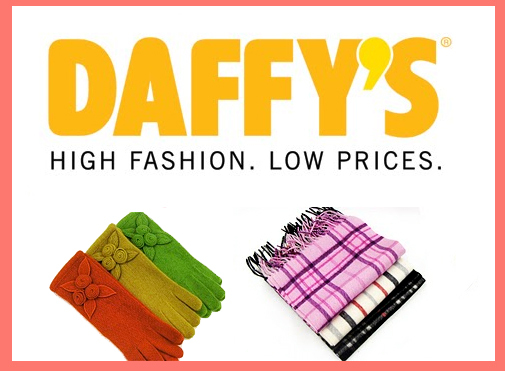 Accessorizing you from your body, bedroom & beyond! New York’s American Museum of Natural History was my favorite museum as a child. Maybe it was the big, blue whale looming over the Hall of Ocean Life or the Rain Forest setup that smelled and sounded so real, that always kept me coming back. But, as with most children, it was probably the massive (and at least until I was 10, OK 15-years-old) terrifying t-rex that truly intrigued my mind. 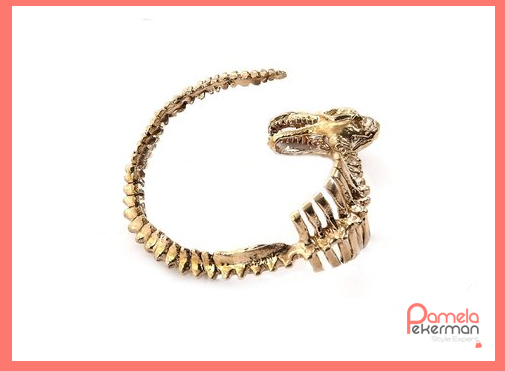 So, when I saw this Dino Skeleton Cuff by Boy NYC, the little girl (who was actually kind of tomboyish) jumped up for joy. The intricacies of the bones and the skull are amazing and I find myself wanting to fork over $550 for the oxidized silver version. A big “thank you” to my friend Malorie of Cameo PR for introducing me to this brand. I’m looking forward to seeing what’s next. The holiday season officially kicks off this week and for many that means a long, overdue vacation. Personally, I can’t wait to head to the slopes to ring in the New Year and then fly off for a week of sun-soaking in Cabo San Lucas, Mexico. Naturally, to me that means new accessories are in order; fortunately, I found just the right piece last Wednesday during a market appointment at Echo Design. Pamela Pekerman "testing" Echo Design's Braided Floppy Hat for Spring 2011. Echo – best known for their infinite array of scarves in every size, fabrication and pattern imaginable – has crafted my dream wide-rim hat, the kind that I would wear to the Kentucky Derby, although, for that affair, I might embellish the hat with a bow of some kind. But, I digress. The Braided Floppy Hat will retail for a very reasonable $38. While I rarely use my editor card to get merchandise in advance, I just can’t wait until spring to enjoy this perfect accent for my head. I’ve already placed an order for the straw color (shown above) and a black one. The hat also comes in white, for those who want that Santorini look. This is another one of my must-buys! Ladies, if you want to pre-order let me know and I’ll see if the showroom will provide a contact. This isn’t a floppy hat that will fall on your face. Trust me, you’ll love the semi-stiff rim and the perfectly, snug fit of the crown. Home décor is a passion I share with my wonderful husband Steve. We can spend hours selecting the right tile, paint color, hardwood flooring and closet configuration – which is probably why it took over a year to designer our current house. Fortunately, when it comes to the accents – those wonderful home accessories that truly convert a house into a home – I’m usually on my own. And, so, I was on my own several weeks ago when I decided it was time to spend the remainder of our gift cards, courtesy of a few bridal shower returns. 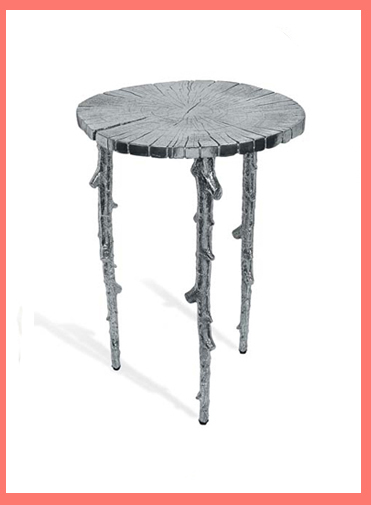 A dash over to the Michael Aram section on 6th Floor at the Bloomindales on 59th Street, and I was hooked on the Enchanted Forest Side Table ($570). There is something soothing about Michael Aram’s work, and it’s not just that many of his collections have a biblical or nature connection. Despite being made of polished aluminum, I find the ease of the cuts and flow of this piece to be warm. As soon as I finish writing this post, I’m placing my order and shall share an update once it takes it rightful place in my living room. PS In addition to being a day for spotlighting wonderful home accessories, Slipper Sunday also means it’s time to show me your slippers. Head over to my twitter account and twipic your cozy looks. I just shared my Kermit the Frog-inspired slipper-socks, and there’s no going back ;-). It’s Friday, and in addition to being Follow Friday (on twitter) it’s Footwear Friday!!! Where are all my shoe divas?!? Lisa for Donald J Pliner Ink Sandal (L) spring11, Idas Boots (R) fall10. Today, I’m mad for this fierce, over-the-knee boot from Lisa Pliner for Donald J Pliner. Lisa, Donald’s wife and muse, has launched her own collection of trend-forward shoes that appeal to a younger demographic – check, that’s me! Best part, she’s working with the same mission of comfort that we’ve all come to love form DJP – and something I’m really seeking following a not-so-pleasant car accent earlier in the month. 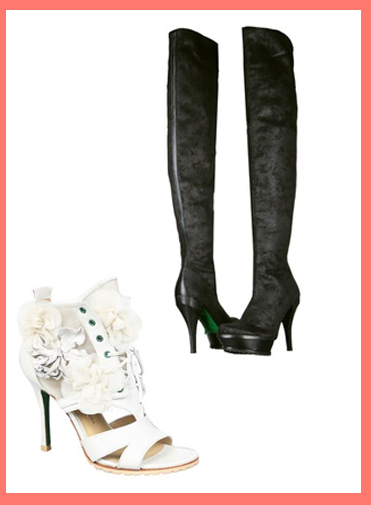 I’m crazy town, obsessed with these way over-the-knee boots with Lisa’s signature green souls and tractor bottom ($375). Spring 2011 is going to be Lisa for Donald Pliners first, fully developed collection, so I’m sharing a sneak peak of Ink – the edgy girls answer to boring bridal shoes! This shoe happens to be Lisa’s pick for spring, as she told me “it's the kind of shoe that if asked, a woman might struggle to name three outfits she wears them with -- but it's that shoe women will build an outfit around.” Guess who’s placing her order already with the showroom? You should join me! For more of my interview with Lisa and a full review of Donald J Pliner’s spring 2011 collection, check out my story on AOL’s StyleList.com. 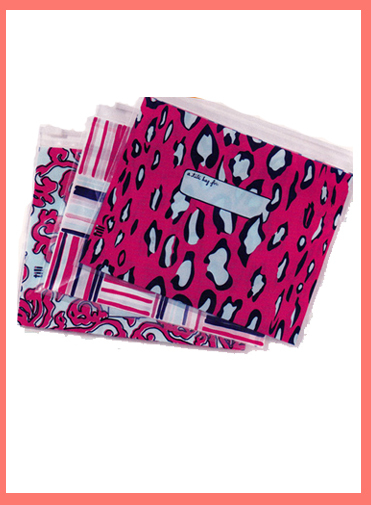 Tili zip & seal reusable bags. Packing can be a daunting task; trust me, I’ve done quite a bit of traveling this year. To make the packing and unpacking easier, I like to place similar items into individual plastic bags. Usually, I’ll reuse the bags I get from the dry-cleaning of my sweaters, or take a large Ziploc bag. Now, I’ve found something even better – Tili. Tili is a fashionable gal’s response to boring Ziploc bags, a line of reusable zip & seal pouches that come in festive colors and patters. Each Tili (Take It or Leave It) bag has a window where you can write down the contents of each pouch. I’ve use mine for undies, toiletries, t-shirts and bikinis, but the possibilities are endless. A box of 12 large Tili bags is $8.49, while the smaller size is $7.49. How will you use your Tili? I’d love to know! ﻿﻿It’s time to go back to school – or at least look like you are on your way to campus! Backpacks are coming back in a big, adult-chic way. I was hoping retailers would get behind this silhouette this fall, but I think it will start to gain traction spring 2011 – with a huge peak the following fall. Leading the pack for spring will be Bryna Nicole’s Hermann School Bag. 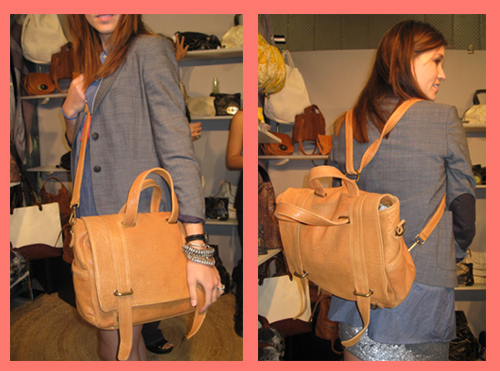 This multi-wear flap-over handbag can we worn as a tote, messenger or on the back. The size is quite substantial for anyone who needs to carry a laptop, files or textbooks. However, it’s not overpower even on my five-foot-frame. I fell in love with Hermann at a trade show in September and he’s been on my mind ever since! The image below is the lovely Bryna Nicole McMills herself modeling the bag. FYI This gal is cute as a button and tall as a totem poll. I need my massive Louboutins to just attempt to reach her breathing altitude, but I digress. The Hermann School Bag will be available in tumbled lamb in olive, grey, black, and cognac and a distressed/cracked black or white leather. The latter has an antique look, but I’m in favor of the soft and supple lamb. To pre-order visit BrynaNicole.com. Several weeks ago, Ann Taylor presented their spring 2011 collection atop the Gramercy Park Hotel. The star-studded affair was attended by Elizabeth Banks, Olivia Palermo, and Fernanda Motta. Ann Taylor's Statement Tassel Necklace, Spring 2011. Photo: Ann Taylor. As a first generation American, my mother always taught me the value of having less, but always having the best that you could afford. As such, I remember her purchasing many a career-wear pieces from Ann Taylor, usually at wonderful sale prices. Many of these pieces are still in her arsenal of count-on-me staples. While Ann Taylor is still a go-to for quality day-to-night attire, I’m particularly impressed with their baubles. The brand’s accessory design team has done a wonderful job of crafting stand-out costume jewelry even I would purchase. (I say that because I have an under $40 costume jewelry rule; I normally can not justify paying hundreds of dollars for jewelry that isn’t made of gold or platinum with precious or semi-precious stones.) However, I’m quite smitten with Ann Taylor’s Statement Tassel Necklace, which hits stores this spring and will retail for $68. The burnished metal finish has an antique finish, and with just a few crystals around the rim of the tassel head, the minimal look blends well with any top or dress. If I didn’t get this in my swag bag at the preview, I’d certainly be anxious to purchase it once it hits stores. Trust me, you will not be sorry with this piece! If you can’t wait until spring, their a plenty of party perfect gems for holiday dressing on AnnTaylor.com, including the Pearl Cluster Drop Earrings ($38) and the Winter Ball Necklace ($88). I haven’t worn a watch in nearly five years and the last one I took off was Cacharel with a gorgeous pearlized blue face with diamonds at every quarter of the clock. I’m just not a fan of occupying a wrist with a time keeper, when I could cover it in a killer Ted Rossi cuff or some over-the-top jeweled bracelet. But, that all changed a few weeks ago when I won a custom-designed watch Glam Rock courtesy of my friends at The Promo Factory. When the current season of Dancing With The Stars kicked off, I was invited by The Promo Factory to a viewing party of the show and a preview of Glam Rock watches, which had been gifted to many of the cast members. Guests at the event were treated to wine, friendly socializing and the chance to design a watch from countless dials, straps and case covers. The two people who designed the best looks, as judged by the stylish Dawn del Russo, would win the watches they created. After much back and forth, I settled on a beige alligator case cover, a brown satin strap, and a dial with rose gold – I’m mad for rose gold! The following day I learned of my winnings – and I must say editors are jaded since we get so much for free, but I was over-the-moon. (L) Glam Rock watch I designer. 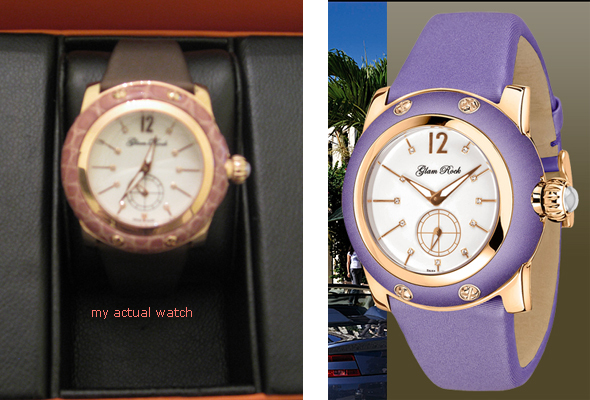 (R) Glam Rock watch from Palm Beach collection. 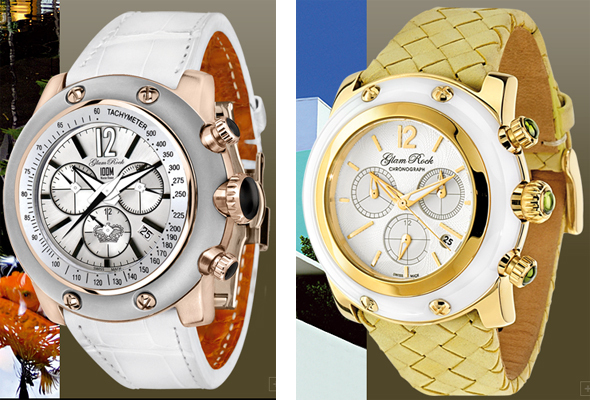 Glam Rock watches from Miami collection. Glam Rock, launched in Miami in 2005, is a completely customizable line of watches hand crafted in France utilizing the finest leather including genuine alligator, lizard and python, with diamonds, cabochons and semi-precious stones. Not just flash, these watches are quite comfortable thanks to a curved, ergonomic case that grants the wrist ease of motion. Last, but not least, nestled in the heart of the solid stainless steel case, is the Swiss-made movement. This glamor will cost you. The version I designed is about $1500! Additional straps and case covers start at $55 for synthetic straps and go up to $1950 for a diamond case cover. It’s time to start saving! Accessories, be they for the body, bedroom or beyond, are the accents to our lives and the little details that take an outfit – or a room – from special to spectacular. 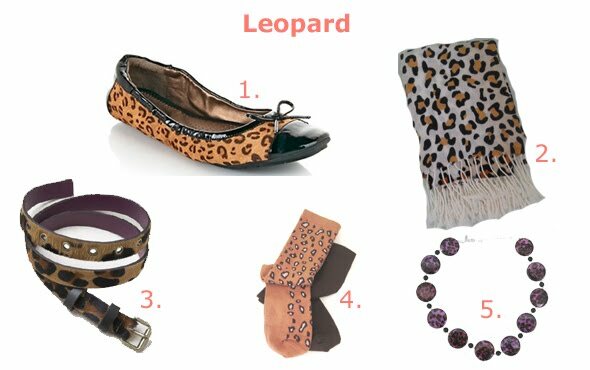 Since my world is blessed with exposure to amazing fashion and lifestyle accessories, starting this Monday, I’ll devote each day to a specific accessory that I uncover from my market appointments, travels, interaction with chic gals-on-the-go and overall connection to all things ~licous! Of course, I’ll still share the latest scoop on my ever evolving professional life and the colorful people I meet along the way. Monday will be a Mystery - scarves, glooves, watches, bags, who knows. Then, I'll open up the jewelry box for Treasure Tuesday to reveal budget-friend costume jewelry and over-the-top baubles. Sorry about Handbag Humpday, but I needed the alliteration. Thursday will focus on jet-set style with great Travel accessories. Friday will certainly give you a shoegasim, as I solely focus on footwear. Saturday we rest and on Slipper Sunday I'll return with home accessories that will add drama and the perfect touch to your abode. Thank you so much for following My Bag-a-licous Life over the year. There is much to come in 2011 and beyond! Do check out www.PamelaPekerman.com for updates on my next TV appearance, in-store event and twitter giveaway. Don’t get scared, but life isn’t all about bags. 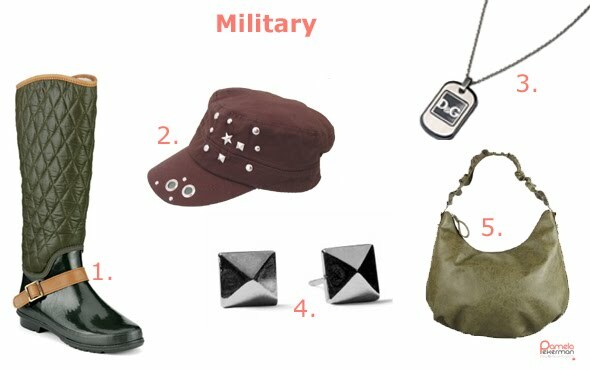 There are shoes, rings, hats, earrings and other accessories that add the perfect accent to any ensemble. As such, there will be different types of giveaways, in addition to my beloved handbags. Over the next two weeks, follow me on twitter for the chance to win a very special scarf from a truly gifted designer – Sabina Les. 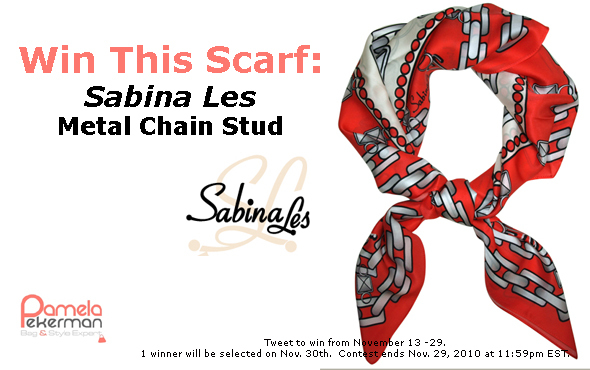 Sabina Les is just like the scarves she producers – unique, graceful and dependable. Sabina Les’ scarves are original textile designs manufactured in the United States with the utmost attention to detail. I love that for $150 I’m getting a genuine, original style from an emerging artist that has already caught the attention of ELLE, The Today Show, and Time Out New York. I purchased my Metal Chain Stud Scarf at a Bloomingdale's trunk show over the summer and have been wearing it religiously – around my neck, on my bag, as a belt and as a halter top. So, I’m thrilled that Sabina has decided to do this giveaway with you. Additionally, follow me @PamelaPekerman, @TeamPamPekerman and @SabinaLes on November 30th as I host an intimate “Accessorize for the Holidays” presentation. You’ll get the scoop on great holiday gift ideas from some of my favorite brands. 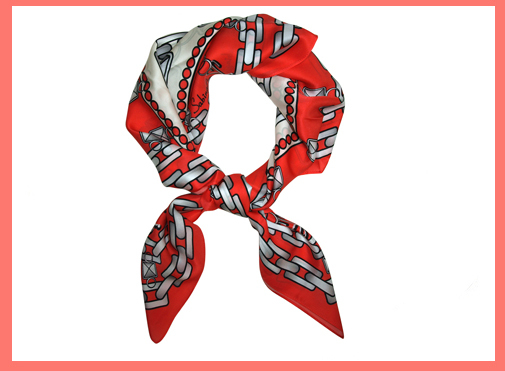 2) Retweet (RT) "wrap me in style @PamelaPekerman w @SabinaLes scarf #GIVEAWAY http://ow.ly/39g9u #P2SabinaLes"
UPDATE: November 30 - Congrats to www.twitter.com/kaflickinger74 for winning this beautiful Sabina Les silk scarf. The next twitter giveaway will be announce by December 3. What a crazy few weeks – fashion week, market appointments, trade shows, plenty of broadcasting segments and some MAJOR meetings that could change everything in “my bag-a-licious life”. I know you’ve been asking about those twitter giveaways and I’m not going to slack off any more. We are going back to our regular, biweekly giveaways and I’m thrilled to kick it off with my friends Alex and Laura of LaLucca. With holiday travel season right around the corner – I know, can you believe it? – a stylish carry-on is in order. 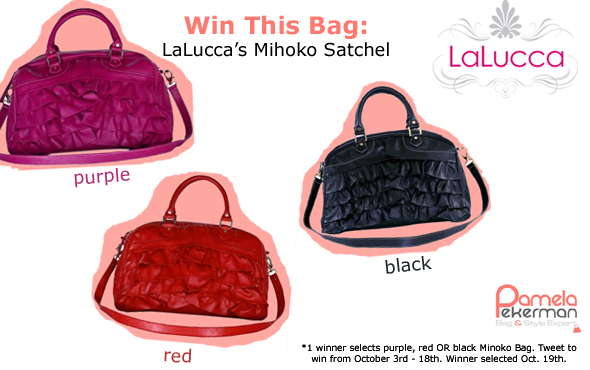 LaLucca’s Mihoko Satchel is extra, extra large so you will be able to fit all your on-plane essentials. 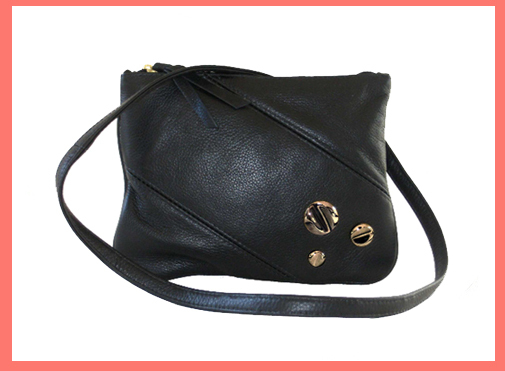 The handbag has a detachable leather strap, which I like to use as a belt – recessionistas must think outside the box! – plus movement and surface treatment vis-à-vis ruffles. There’s something about the way this bag looks – and most of LaLucca’s bags look, for that matter – that screams samba, musica, Latin energy and Miami. Don’t you think? In such trying times, it’s nice to get a smile on your face from a bold color and some leather ruffles. That’s my version of smelling the roses! 2) Retweet (RT) "Travel in Style w @LaLucca Mihoko Satchel from @PamelaPekerman #GIVEAWAY http://ow.ly/2NH55 #bags #handbags #PamPekermanLalucca"
Tune in to Better TV tomorrow (check your local listings) to watch me share my favorite fall accessories. Boots, bags and baubles, this segment has it all - and everything is under $100! If you don't get BETTER TV in your area, don't fret you can watch the program at http://www.better.tv/ starting tomorrow afternoon. But, I can't have you accessory-crazed gals wait that long, so below is your exclusive look. Enjoy! What is going to be your must-have accessory this season? Do share! I had to buy the White House Black Market Wool with Contrast Trim Cloche Hat. The Lela Rose for Payless shoes - which I tested in my kitchen while cooking! - are also on my to-buy list. 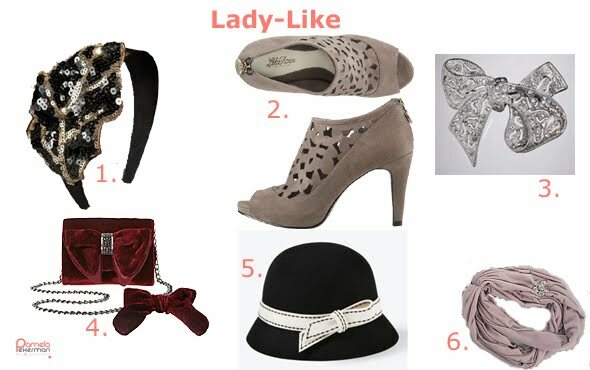 Lady-like chic definitely speaks to my sense of style. How about you?